We provide 24/7 airport transfer/taxi service at Plovdiv airport. Our primary transfer destinations is Plovdiv Airport – Pamporovo. Pamporovo ski resort is 90km south of Plovdiv and the transfer time is approximately one and a half hour drive – depends on the weather conditions. Our rates are as low as 47 EUR per vehicle for a private one-way trip (up to 3 passengers travelling in a car). This price includes meet and greet service, driver hire, all fuel expenses and passenger’s insurance. We offer Plovdiv Airport transfer/taxi to Borovets. Borovets ski resort is situated 130 km west of Plovdiv. The transfer time is approximately 2 hours drive. We provide also Plovdiv Airport transfer/taxi to Bansko – 160 kms south-west from Plovdiv, 3 hours drive, transfer/taxi from Plovdiv Airport to Sofia Airport – 160 kms, two and a half hour drive. 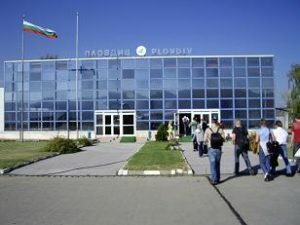 Plovdiv airport is located 10 km South-East of Plovdiv on the main route to Assenovgrad. Plovdiv is the second-largest city in Bulgaria and one of the oldest cities in Europe, situated along the two banks of Maritza river and nestled in between seven hills. See on a price below, enter transfer details and confirm your reservation online! We look forward to meeting you in Plovdiv!